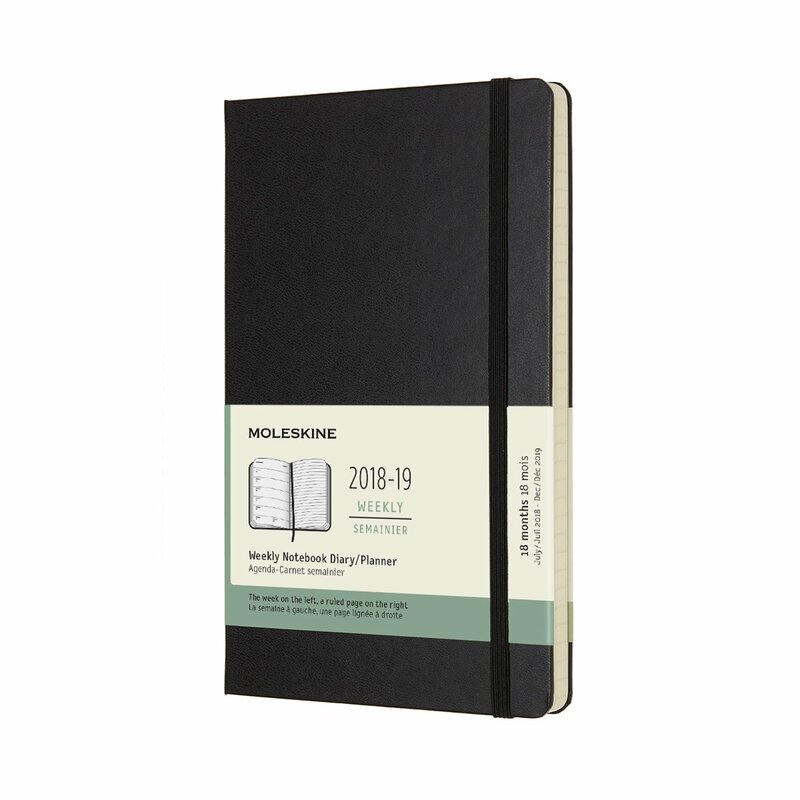 Moleskine's black large-sized 18-month weekly diary covers from July 2018 to December 2019. It features a black hard cover with rounded edges, a ribbon bookmark and an elastic enclosure to keep everything secure when closed. 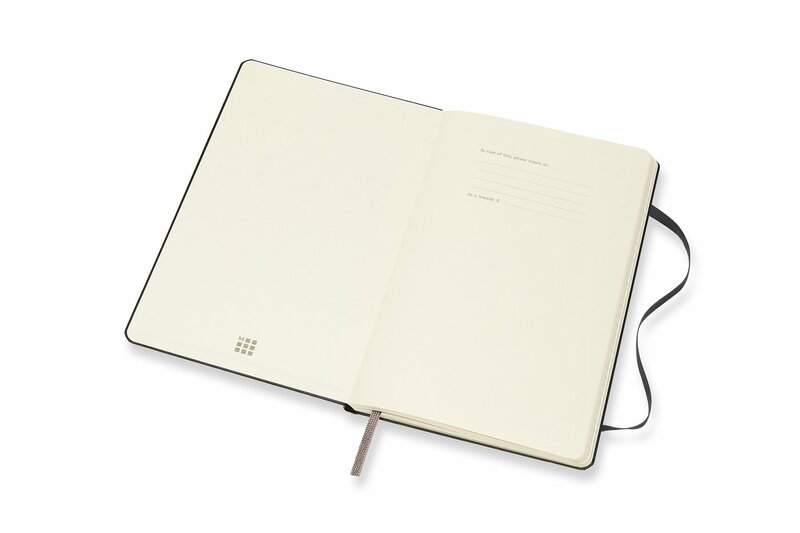 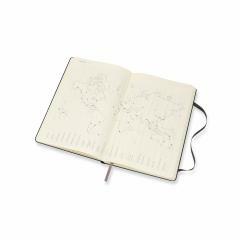 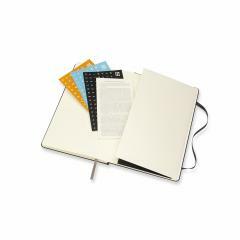 It also includes acid-free pages and an expandable inner pocket, and measures 21 x 13 cm.